France play their second Euro 2016 fixture at Stade Velodrome in Marseille, knowing a positive result will secure their place in the last 16. 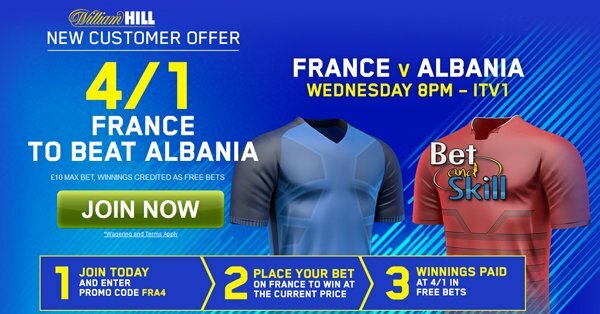 Don't miss our FRANCE V ALBANIA betting preview with free predictions, betting tips, enhanced odds, starting lineups, exclusive promotions and no deposit bonuses from the most trusted online bookmakers. France kicked off their campaign with a 2-1 win over Romania courtesy of a Dimitri Payet's last-gasp goal from outside the penalty area. After winning all four friendly matches in the run up to the tournament France remain unbeaten in 2016 and after this their group campaign ends with a meeting with Switzerland. Didier Deschamps will have no fresh injury concerns. Probably, he is considering dropping Paul Pogba and Antoine Griezmann in favour of starting Anthony Martial and Kingsley Coman after they both had a poor performance last time out. Payet is likely to start as number ten, while N'Golo Kante and Blaise Matuidi will play in the middle of the park. Adil Rami and Laurent Koscielny will retain their places in defence, despite the duo's partnership yet to convince it can cope with the competition's big guns. Albania opened their campaign with a 1-0 defeat at the hands of Switzerland but they were extremely unlucky not to get a draw. Despite being a goal and a man down in the first period, they kept at it and they carved out some decent opportunities. They know that a win is imperative from here on out and will likely charge France's questionable defense through this one. Albania won the most recent encounter against France 1-0 in June 2015 with Ergys Kace scored the decisive goal. Gianni De Biasi will be forced to go against France without his team’s captain Lorik Cana who is suspended following his dismissal against Switzerland. Arling Ajeti is expected to replace him. The Italian manager is also expected to revert into a very defensive 4-5-1 formation, with Andi Lila and Ledian Memushaj among those expected to come into the starting XI. Shkelzen Gashi, whose agonising miss after coming on as a substitute in the final minutes against the Swiss cost his side dearly, is unlikely to start the match. France (4-2-3-1): Lloris – Sagna, Rami, Koscielny, Evra – Kante, Matuidi – Payet, Martial, Coman - Giroud. Albania (4-5-1): Berisha – Hysaj, Ajeti, Mavraj, Agolli – Lila, Xhaka, Memushaj, Abrashi, Lenjani – Sadiku. 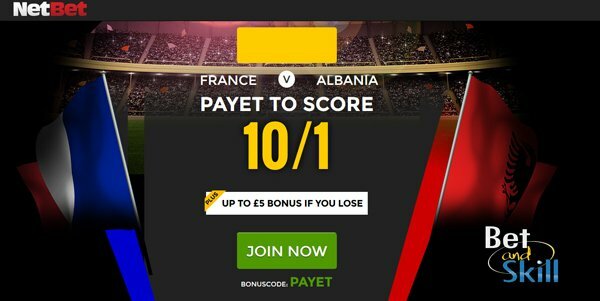 "France v Albania predictions, betting tips, lineups and free bets (Euro 2016 - Group A - 15.6.2016)"